Found in the middle of the Indian Ocean, Seychelles is formed by 115 small islands with connections worldwide and with lots of opportunities in varied industries. The fisheries sector is among the well-developed ones, and considering the importance of this field, the authorities implemented the Blue Economy concept which intends to sustain the ocean-based economy with the help of foreign investments and businesses. The aquaculture in Seychelles is seen as a solid sector where the foreign investments can be easily placed. In this sense, the authorities have implemented a series of incentives to attract even more foreigners to this prolific offshore jurisdiction. If you want to open an offshore company in Seychelles and benefit from a relaxed tax structure, you may talk to one of your company formation agents in Seychelles. Our team of advisors can guide you throughout the entire company formation process in Seychelles. Seychelles is the second largest tuna exporter in the world, so the retail and distribution sectors in Seychelles grew rapidly. Because Seychelles is among the preferred tourism destinations in the world, the sports fishing and the yachting activities are numerous, so are the businesses which deal with the distribution of equipment. This can be an interesting and prosperous opportunity for those entrepreneurs who want to have a successful business start in the fisheries sector in Seychelles. 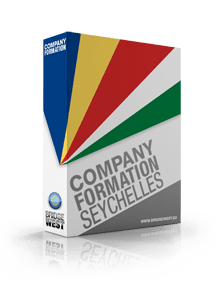 We invite you to contact our team of company incorporation representatives in Seychelles to benefit from tailored company formation services, in accordance with your investment plans in Seychelles.